The RTI application also sought information as to whether there was any complaint against Chauhan and whether anybody in the faculty had requested his removal. To both questions, the CPIO replied in the negative. The question remaining is why Chauhan was removed if there was no complaint against him. Vinod’s RTI application also asked whether the NLSIU had evaluated Chauhan’s performance as a teacher and asked for copies of such an evaluation along with the results of the student evaluation of Chauhan for all the courses that he had taught. The CPIO refused to provide the information on the grounds that they were confidential! This seems to be purely in contravention with the provisions of the RTI Act as there is no such provision excluding disclosure of evaluation of a teacher’s performance in an University. Chauhan was allegedly dismissed for criticising the administration, particularly the Vice-Chancellor, Dr. Venkat Rao. 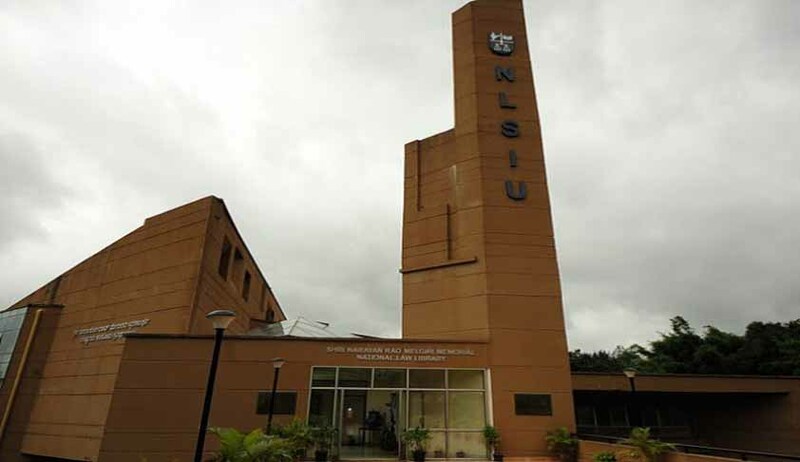 Chauhan pointed out in a letter, about the non-continuance of weekly faculty meetings and an unprecedented centralisation of decision-making both with respect to administrative and academic matters at the NLSIU. This was not well received by the Vice-Chancellor. Vinod’s second RTI pertained to a complaint by one of the faculty members, Ms. Shreya Rao to the Vice-Chancellor on the re-evaluation process and the lack of disciplinary action against students who were found to be cheating during examinations. The CPIO replied that the matter has been referred to an internal committee, i.e. the University’s undergraduate council and that action has been taken. But the reply does not provide any indication as to what was the action. Regarding the students who allegedly cheated in repeat examinations, the CPIO again informed that action was taken; without even a whisper of the nature of the action. Vinod’s RTI also asked whether Ms. Rao’s letter was discussed with the rest of the faculty and a copy of the minutes of the meeting. The CPIO has dared to reply that there was no requirement to discuss this with the faculty. Vinod also filed a very important RTI application pertaining to the re-evaluation procedure followed by the University for the B.A. LL.B. (Hons.) program. NLSIU at the start of the 2009-2010 academic year, adopted a set of regulations to streamline decision-making for its B.A., LL.B. (Hons.) programme. One of the notable changes brought in by these regulations was a re-evaluation procedure, included in response to demands by the student body since a large number of students were failing specific courses and it was felt that certain teachers were being unduly harsh in the evaluation of examinations and term-papers submitted in their respective courses. Grievance redressal mechanism: After a discussion with the teacher concerned, any student aggrieved of the evaluation of answer scripts in an examination, may make a case for revaluation of that paper before the Vice-chancellor, based on authentic sources in writing, within 3 days after discussion with the teacher. The Vice Chancellor may take appropriate action, which may include revaluation within a reasonable time. Pending results of the revaluation, the student shall be permitted to write the Repeat examination. The decision of the Vice Chancellor in this regard shall be final. The students may choose either the marks scored in the Revaluation or the Repeat examination. Explanation: Authentic sources may include answer key, textbooks, class notes, etc. It is alleged that, over the last four academic years (i.e. July 2009-present), there has been several instances where the present Vice-Chancellor has literally changed hundreds of grades awarded in numerous subjects. In most of these cases, students who have failed subjects by considerable margins have been given passing grades, simply by invoking this particular regulation that provides for re-evaluation, despite course teachers repeatedly objecting to such untrammelled use of the rule. Vinod’s RTI application sought the number of notifications issued under this regulation since July 2009, along with copies of such notifications and the number of students who have had their grades changed through this regulation. The CPIO has replied that there was no requirement for a notification under this regulation but this seems to be blatantly wrong. Live Law has found out that such notifications are issued very often and a copy of one such notification is with Live Law. The CPIO also informed that the Vice-Chancellor did not change any grades. There is a notification issued in the name of the Vice-Chancellor that explicitly announces changes in grades, yet the CPIO states that the Vice-Chancellor has not changed any grades! The CPIO refused to reveal details about external evaluators who have participated in the revaluation process as this was ‘confidential information’. This is again, a reply in blatant violation of the RTI Act, from an institution which claims to be the top law school in the country. Vinod’s RTI application sought the number of Faculty Meetings held under the tenure of the present Vice-Chancellor (i.e. May 2009-present) and was answered as, 38 meetings. According to reliable sources from within the faculty, this number is supposedly a huge exaggeration. In order to verify this figure, Vinod intends to file another RTI asking for minutes of all these meetings, along with a list of dates and attendees for each meeting. Vinod is planning to file an Appeal against the reply provided by the CPIO as most of the information has been concealed for unnecessary reasons. However, Vice-Chancellor is the Appellate Authority within NLSIU for all RTI matters. Vinod feels that, given the circumstances and the information requested there is no way the present Vice Chancellor can sit in judgment over his own deeds since almost all the information requested by him pertains to the Vice-Chancellor’s leadership decisions at NLSIU. Vinod intends to ask him to nominate a senior faculty member or Executive Council member to act as the Appellate Authority for this set of RTIs.